4GoodHosting provides expert web hosting right across Canada, and Alberta's bustling big city is no exception. We know your website's a big part of what you do, and we have 10+ years of serving Calgary with reliable web hosting. You can expect first-rate customer service too and we're definitely the provider of choice for Southern Alberta businesses. You'll receive instant activation with your payment, and you'll have gotten your hosting right the first time! Feel free to email or phone us anytime with questions, suggestions or concerns. Every website hosted by 4GoodHosting is backed up at both of our Vancouver and Toronto data centers. If the local data center out west is subject to system failure for any reason, Toronto's will have it backed up and your site will still be fully operational, with the opposite back up should the Eastern center be down. Your site will be backed up daily throughout each month, and of course you've got 24 / 7 customer support at all times for anything related to the live-on-the-web status of your site. Take advantage of our ability to transfer your current domain if your current hosting provider is not meeting expectations, or can't match 4GoodHosting's multiple data-centre reliability. Come on over to 4GoodHosting, we'll transfer your domain at no charge, and it's all part of our service-plus commitment. There's no better value for Calgary web hosting, and if you factor in our expertise, reliability, customer service, and commitment to your 100% satisfaction that's clear as day. Usability and independent webmaster control are a big reason our web hosting packages have added value. You should be able to manage and modify your website anytime without having to go through the provider. With 4GoodHosting's CP Panel, you can create FTP accounts, set up email addresses, build custom websites and more, and most of our customers enjoy being able to do so. It's included with every package, and the online website builder lets you design a website for yourself. Build an online web page in as little as 30 minutes! These basic sites look great and many customers find they're just what they need. Try it for 7 days free at website-builder and try your hand at web design made very easy! We've put great effort into building and maintaining our advanced server architecture, and it's what allows us to deliver quick site loading times, even for sites with expansive content or complex configurations. We're happy to hear how much our customers appreciate it, and you will too! With 4GoodHosting's support, every question receives a speedy thorough answer. Our friendly and knowledgeable agents also contribute significantly to making us the #1 choice for premiere web hosting in Calgary. You'll also appreciate our live online chat support. Our "A+" standing with the Calgary Better Business Bureau is well earned, and customers like the fact that are at the ready for any inquiry they may have. This level of service and accountability you can and should expect from you web hosting provider in Calgary. 4GoodHosting ensures maximum data security and privacy at all times. It's common knowledge that there are ever increasing risks of privacy breaches through the Internet these days, and constantly re-evaluating and expanding upon your data security measures and privacy protocols is a must for any reliable web host. With 4GoodHosting, you have those assurances. We're not only one of the best web hosts, but we're also one of the smartest! 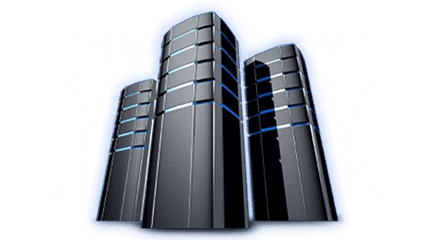 Websites that are now too large for shared hosting, and / or require root access or complete configuration control of their standalone web server will benefit from VPS (Virtual Private Server) hosting. Look at VPS if your website has grown to experience over 1 million views per month too. You've got a wide share of platforms too, with Drupal, OpenCart,, WordPress, Wiki, Joomla, and PrestShop and SMF among them.